The fact that cancer in dogs is one of the leading causes of serious disease and death doesn’t make the condition any less alarming for owners. The diagnosis will instill fear in you, but understanding what your dog is experiencing and how it should be treated is an important part of your journey together. According to experts, around 50% of dogs aged 10 and above develop cancer at some point in their lives so without saying, the chances that cancer in dogs will occur is really high. 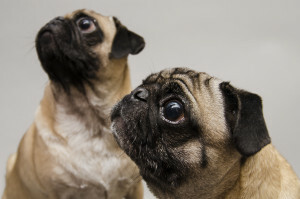 While the risk of cancer is significant in dogs of all types, golden retrievers are twice more likely to fall prey to cancer so consider yourself on the right side of statistics if you’re a pug owner. Put simply, cancer is when there’s abnormal cell division and multiplication. Where cells once matured and divided naturally as part of their lifecycle and a balance was maintained between their multiplication and death, they won’t now. Pre-cancerous cells are ever-present in the body minus the deadly effect as long as the immune system is healthy. The breakdown of the immune system is a major factor in developing the cells into a mass that will press against the surrounding tissues, absorb essential nutrients, and cause death. Given the death rate due to cancer (1 in 3 dogs), it’s obvious that the vets are still searching for the answer to this one. However, there are some factors that influence it including (a) genetics, (b) hormones, (c) inflammation and infection, and (d) the environment. Some of the cancers that have reportedly more cases than others are bone cancer, lymphoma, mammary gland cancer, mouth cancer, and skin cancer. The symptoms are not unlike those present in humans. There may be a lump formed, it’ll have bad breath, lymph nodes may enlarge, wounds won’t heal, bones will have swelling or lameness, and there also may be abnormal bleeding. However, these are the more obvious telltale signs; sometimes, there will be none present, at least in the initial stages. At times, drinking excessively, weight loss, diarrhea, or vomiting can also indicate ill health. So, you have to be extra cautious to note these abnormalities and bring it immediately to vet if you think the dog’s acting up. 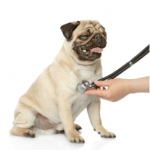 Did you know that most of the canine cancers have a better prognosis if they are diagnosed in the early stages? There are lots of options available. Following diagnostic tests such as needle biopsy, ultrasound, and radiographs to determine cancer, some dogs respond by going into remission, having earned a bit more time and improved quality of life, while others are positively cured. The only drawback is they are expensive, particularly when your dog requires more than one type of treatment. Therefore, it is advisable to consult your vet before taking the decision. Chemotherapy – drugs are used to attack and kill the tumor cells. There will be side effects like diarrhea and vomiting. Radiation – a beam is directed to kill it to avoid damaging the parts surrounding the tumor. Surgery – another common choice to reduce pain can be used with other therapies like radiation because then there will be less cancerous cells to kill. Alternatively, it’s also possible to opt for hospice care, learning to give him medication and administering fluids on your own, if you cannot afford the treatment or if it’s not effective. Consider euthanasia as the last choice.